 WeGotDumpsters.com offers dumpster rental service for the entire Baltimore & Washington DC Metropolitan Areas. We are a family owned business with important business partnerships of local companies that are each owned and operated in your hometowns. What this means to our customer… we’ve got professional partners in your area. WeGotDumpsters.com customer service teams can reply instantly to your local dumpster rental needs. As we grow our business around the Maryland and Virginia Metropolitan Areas we will continue to service our customer with 1st class service. - Transparent operations & competitive dumpster pricing always with NO hidden fees. - Pick & delivery of our dumpsters are by qualified and highly knowledgeable personal. Contractor as well as homeowners depend on WeGotDumpster.com when the need to rent a construction dumpster for their job site, store, businesses or even home. There are various dumpster sizes and dimensions to select from when assessing the amount of demolition and construction debris that your venture may produce. Please consider giving one of our qualified customer service personnel call to assist you in securing the correct roll-off dumpster to fulfil your waste management requirements. - We’ll help you assess the size of the dumpster you will be requiring. Please keep in mind that it’s often it’s shrewder to rent a dumpster 1 size larger then you may necessitate. It’s always better to have some room left over than none at all. Our experience sales team will be happy to guide you in the right path during the dumpster rental process. We will give you all the information needed about dumpster sizes to make in informed construction or job-site dumpster rental. 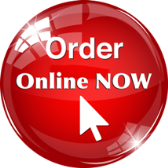 - We will schedule your delivery date. And our team at WeGotDumpsters will totally understand the exact location of your desired dumpster location. - To secure your dumpster rental we need to process payment. We accept all major credit cards including Mastercard, Visa, Discover and American Express. - When you project is done at your job-site… please give us a call to plan your dumpster pickup. We will dispose all your content and debris. Due to EPA procedures and guidelines, we cannot dispose of all items.